A seasoned Recruitment personnel with more than 5 years of experience in the industry. 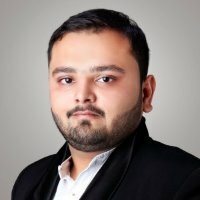 Atif has been a part of many Recruitment agencies hiring Rockstar/ top talent for clients based out in India, US, UK, Malaysia and Singapore. I have fulfilled requirements of 18 Global Banks, 150+ Startups, major consulting & IT Product based companies, Major Media and Digital Marketing agencies across US & India. I specialize in handling Technical & Executive Recruitment's. Placed a numerous Directors, VP's, AVP's, CFO's, Controllers across various clients that I worked with. Handled Technical requirements starting from a Junior Developer to CTO's for startups and Banking clients in various countries. Having experience working for Recruitment Agencies, Corporate & RPO's. Currently heading the entire Recruitment for Haptik, handling a team of 1 Recruitment Manager and 5 Recruiters. Responsible for all the Technical, Non-technical and Bulk hiring's for the company. Hired more than 300+ new employees in the span of 3 months. How to Get Hired !